Bookings are only valid if they have been confirmed by phone or email by our staff and if they have been made 24 hours in advance. In the name of the company, we treat the information you provide us with in order to provide them with the requested service, make the invoicing thereof. The data provided will be kept as long as the commercial relationship is maintained or during the years necessary to comply with the legal obligations. The data will not be transferred to third parties except in cases where there is a legal obligation. 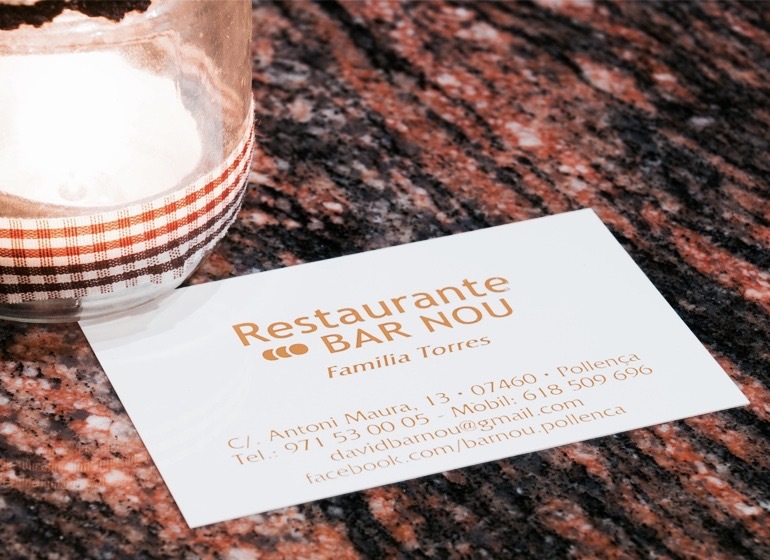 You have the right to obtain confirmation about whether we are dealing with your personal data at BAR NOU RESTAURANTE, therefore you have the right to access your personal data, correct inaccurate data or request its deletion when the data is no longer necessary. We offer you every day dishes prepared with the freshest products available in the market, depending on the season.